This past Sunday, the Bengals were…bad. 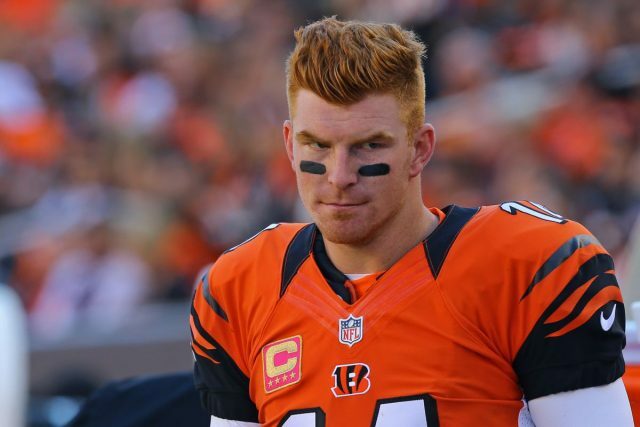 Andy Dalton is off to a ginger-hot start to the year. His week one performance was one of the worst in the history of football. Houston’s Sunday showing was nothing to write home about either, though. Sounds like a typical Thursday night football game in the making. Plenty of bettors will just be betting this game because it is the only one of the day and it will be on TV. You may find yourself in that same boat. So far, the action on Cincinnati has been significant enough to move the spread by two points since opening. At Bookmaker, the line crawled from -3.5 to -5 yesterday evening. This morning, just about an hour ago, it hit -5.5. With 73% of bets, it’s clear that the public is on Cincy, but books wouldn’t move the line that much from public action unless sharper bettors were also putting down some coin. Something to keep a close eye on is whether DeShaun Watson is healthy enough to start. If #Texans QB Deshaun Watson’s ankle makes it through today’s practice OK, he’ll be named the starter vs the #Bengals on TNF, I’m told. Neither Watson nor Tom Savage ended up playing well in week 1, but Watson surely has some untapped potential. Since mobility is a strength of his, his ankle injury may limit his production Thursday night. With a total of 38 and a line of +5.5, the Texans are implied to score just 16.25 points…maybe not a team you should target in daily fantasy. If you’re interested in NFL money percentages, best bets, bet signals, and more, try out the pro sportsbook insider membership.